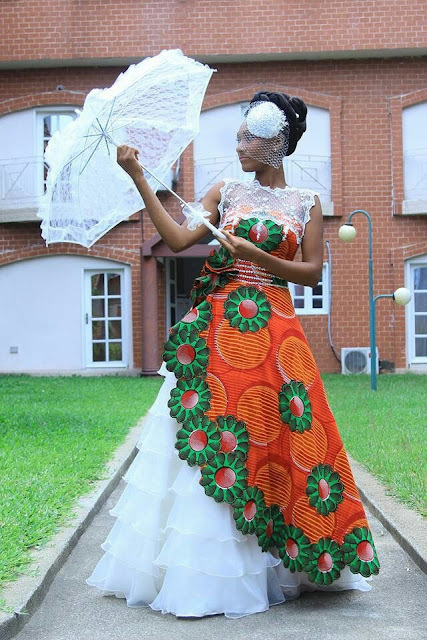 Home / African Fashion / african prints / Dress / Fashion / Wedding / Wedding Dress / STUNNING AFRICAN INSPIRED WEDDING DRESS. STUNNING AFRICAN INSPIRED WEDDING DRESS. 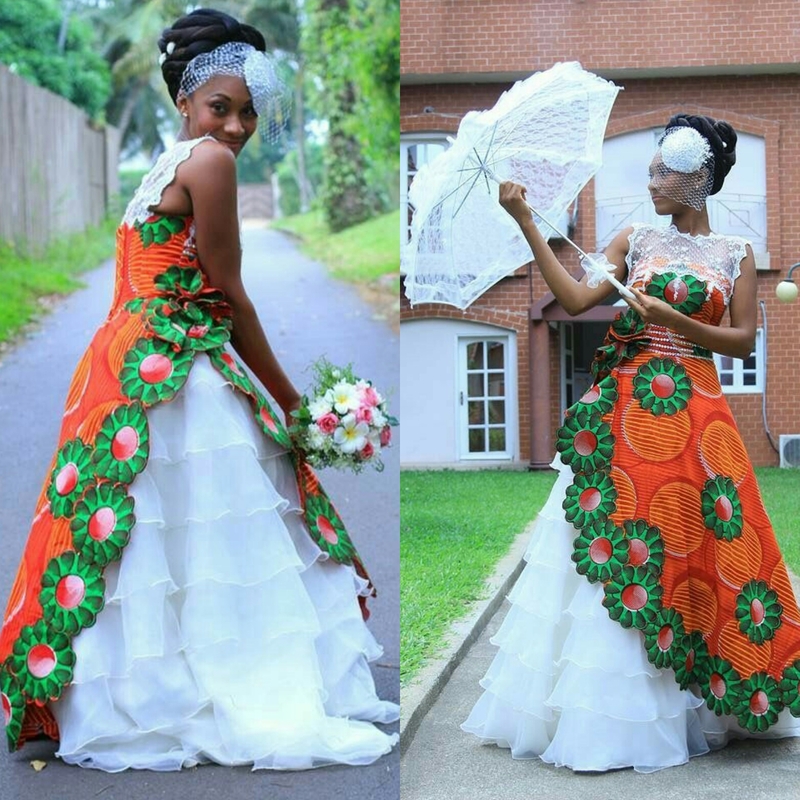 We should truly take pride in our African fashion, just look at how stunning this wedding dress turned out to be. 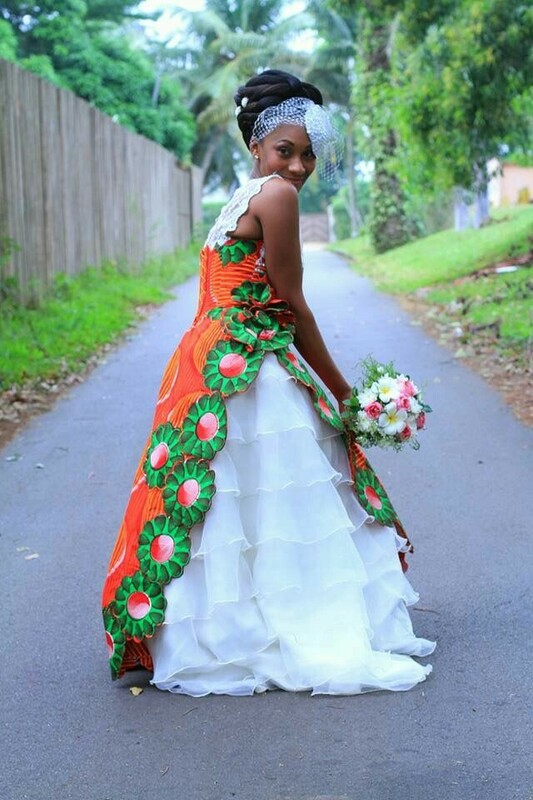 Sio lazima on your wedding day uvaue the usual white gown kama Kila mtu, If you are into fashion you should know kuwa African prints mix is something unique haswa ikija kwenye magauni ya harusi. This dress is just too stunning. .imeshonwa kwa kuchanganya African print, and the print are so beautiful. .that color is just popping. Pia in a lace na instead ya kuwa na a long train in a simple ruffles amazon zinaonekana on the side tu..